where he fell into a coma. He died of his injuries on Sunday. “I’ll tell you what I do know, and right now there’s still a lot of questions I don’t know. I know that when Mr. Gray was placed inside that van, he was able to talk. He was upset. 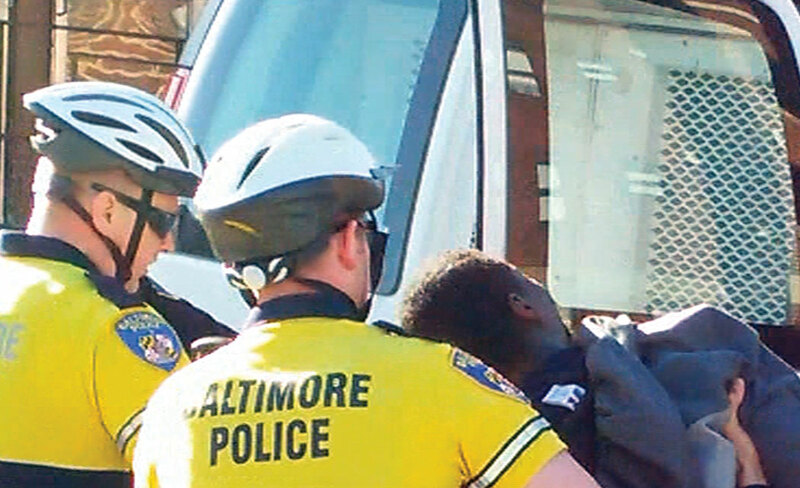 And when Mr. Gray was taken out of that van, he could not talk, and he could not breathe,” Baltimore Deputy Police Commissioner Jerry Rodriguez told reporters Monday. Rodgriguez said the officers had been working an area that was known for violent crimes and drugs when they spotted Gray. They thought he may have been involved in a crime, but police didn’t say what their suspicions were based on, according to the Gray family attorney, William Murphy. When officers approached him, he fled, but was caught quickly. Cell phone video captured him already on the ground with three officers hovering over him. He let out a loud wail. Police say they will conclude their investigation on Friday, May 1, and then the case will go to the state attorney’s office, which will decide whether to file charges. For now, the six officers involved have been suspended. But despite the national outcry and the world focusing on police matters concerning black males, these incidents continue to happen, leaving many in the black community stunned and left wondering how to bring closure to these situations. Black leaders in South Florida are mixed on how to resolve these complex police relations. Patrick Franklin, President and CEO of the Urban League of Palm Beach County, says he believes hiring practices of police departments have to get better. “I personally think there’s a misrepresentation of minority officers. They say there’s a shortage of minority recruits. They are saying they can’t find good minorities for the force. Well, they’re not looking in the right places. I think it goes back to retention and recruitment. Do they adequately seek minority officers? We need to address this issue across the nation,” said Franklin.